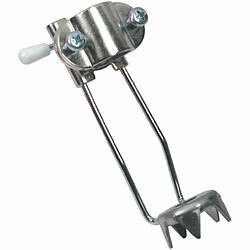 For effective gripping action on icy surfaces. Easily attaches with 2 screws and fits all standard size crutches. Flips up and out of way when not needed.